One of the amazing things about living in Dallas is that we are a virtual HOTBED for reality TV casting. Any major reality show worth its salt makes a casting stop in Big D when looking for interesting or talented characters with big personalities. We've seen our citizens cast as contestants and "stars" on shows like The Bachelor, Dancing With The Stars, Top Chef, Biggest Loser, The Voice, American Idol, Fast & Loud, and we are about to be able to add the much anticipated Real Housewives of Dallas to the list. Alecia Holden (age 24) who works with broker Mark Anthony Rodriquez at Uptown Realty will take her turn at trying to be the ultimate Survivor when the show returns with a special 90-minute premiere on Feb. 17. According to Holden, "I made a bucket list of adventures I wanted to accomplish. I went out and did it; bungee jumping in Indonesia, hang gliding in Rio, skydiving, jumped off the stratosphere in Las Vegas, face to face shark diving in Australia, and interacting with uncaged tigers in Thailand." Seems natural that a show like Survivor would sound like fun to her. In 2010 I wrote a post listing "4 Lessons Your Child Can Learn From Watching Reality TV" and I cited Survivor as a show that "pits the smart against those who just think they are smart. City dwellers against country farmers. Old against young. The motto of the game? Outwit. Outlast. Outplay. What Survivor allows your child to observe if that often, it’s doesn’t matter how great your strategy is or how physically strong you are, but how well you can get along with your tribe that keeps you in the game. Social skills are crucial to your success in life. Whether you are a student in a college fraternity or an employee in an office, how you can get along in a group will determine if you end up President or just a member of the team. Learning how to interact, engage and endear yourself to others can pay off big." To me, Survivor is a fascinating study in human behavior. And we've had several players from the Dallas area take on the challenge: Highland Park Mother/Daughter duo of Missy Payne and Baylor Wilson, Plano's Lisa Whelchel and North Richland Hills' Mike Holloway (who actually WON the million dollars in Season 30!) We will see how Alecia fares compared to our other North Texas Survivor alumni. 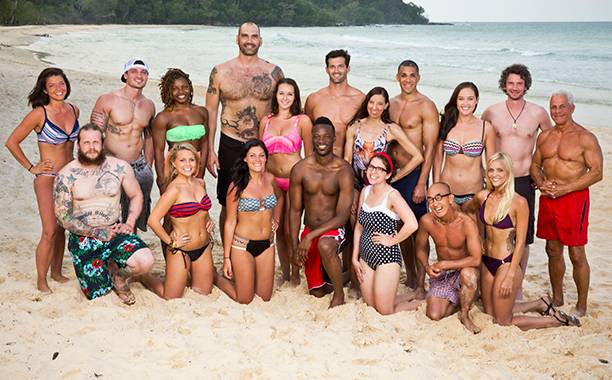 You can root on Alecia when Survivor debuts February 17th on CBS.